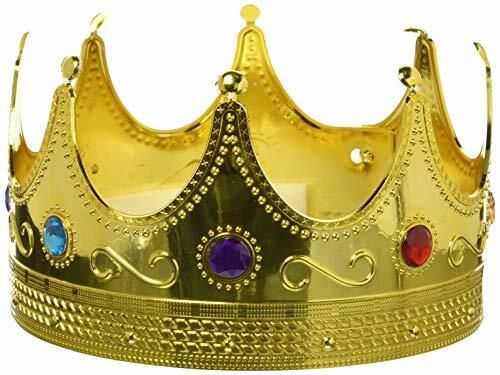 King's Crown is a truly royal costume. 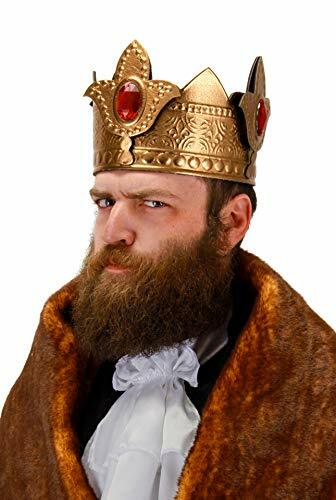 Great to Match most king's costumes or just use it as a party Hat. 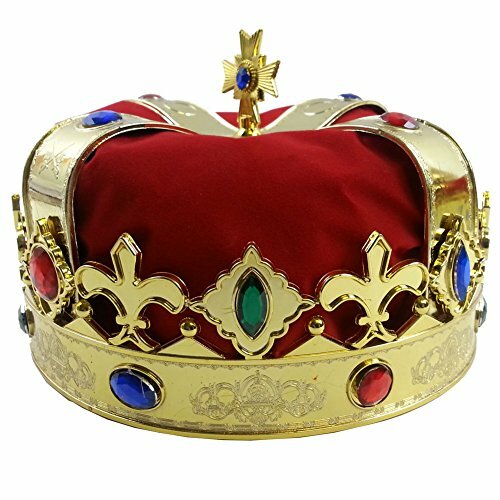 the crown is red with gold and colorful jewels. Very Comfortable, one size fits most. 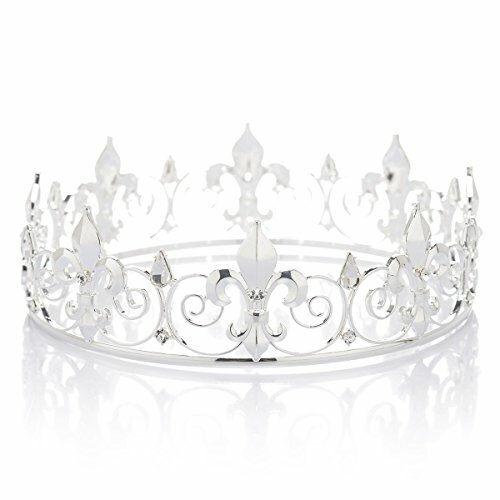 the Crown is 5.5 Inches Tall, and is 7 Inches in diameter. 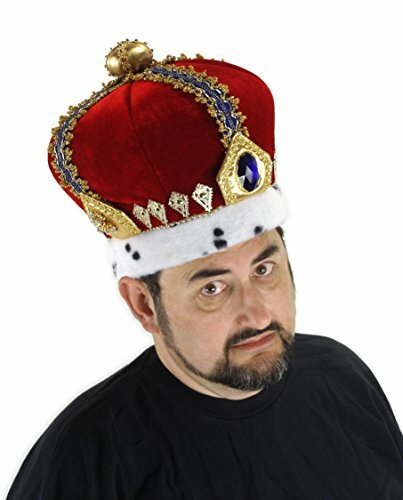 The crown has a Soft Sponge Around the Head for Better Fit and Extra Comfort. Rubies, Emeralds, Sapphires, Amethyst & and Citrine looking gemstones garnish this shiny gold, elegantly decorated King's Crown. Crown comes fully assembled thus saving time for the party! Blue Sapphire Rhinestones And Faux Ocelot Fur Adorn This Deluxe Velvet King's Crown. Has Fabric Lining, Hook And Loop Size Adjuster. Adult Size Fits 57-61 Cm Heads (23.5 Inches). Box Dimensions (In Inches) Length: 14.00 Width: 12.00 Height: 3.00. The Rundown:Finally! 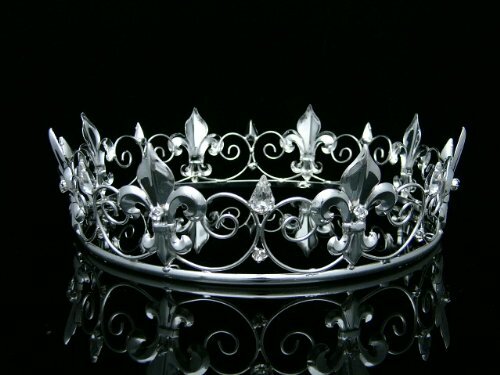 A realistic crown that won't break by the second wear... or break the bank. 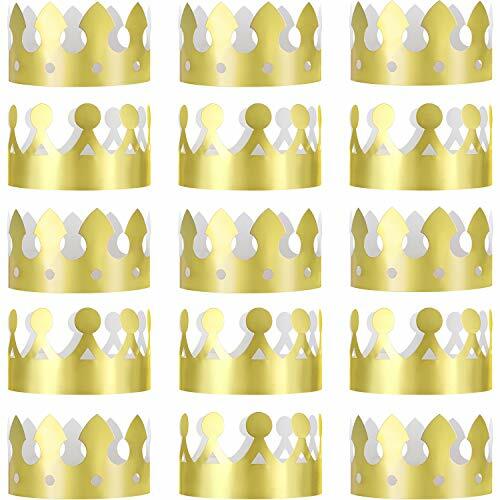 Whether it's for your next royalty-themed party or stately performance, this king crown won't disappoint! It's durable. It's adjustable. 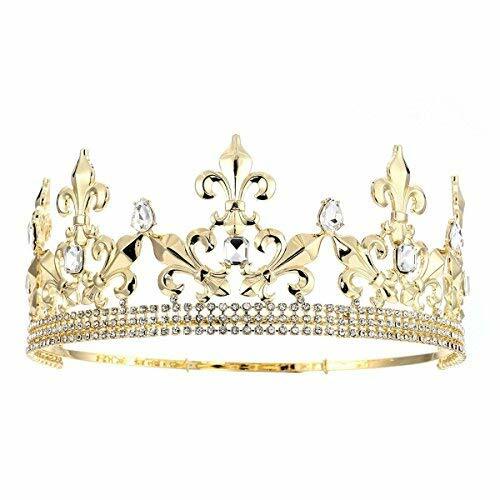 And with a realistic metal frame that encompasses over 250 rhinestones, our crown features a realistic glimmer that can't be found anywhere else. We pride ourselves on bringing both quality and beauty to your next royal gathering. There's no question about it: the masses will be wowed by your regal brilliance.Where to wear?Birthdays, Weddings, Prom, Bachelor parties, Fantasy drafts, Saturday nights, Halloween, New Years, BBQ's, Holiday parties, Easter, Wine tasting (why not), Game night, Corporate events, Luau's, Mardi gras, absolutely everywhere.Shipping:We ship crowns in a box along with bubble wrap, still, shipping can be quite rough. If you receive your package and it has ANY defects, contact us for a FULL exchange or refund.